I’m almost there, my friend. Yep, nearing the big 4-0. It’s a little weird/odd/hard to believe, but…honestly? Age is just a number and all that. Age doesn’t scare me so much because, let’s be real, I’m far more ripped, shredded and fit than my younger self! 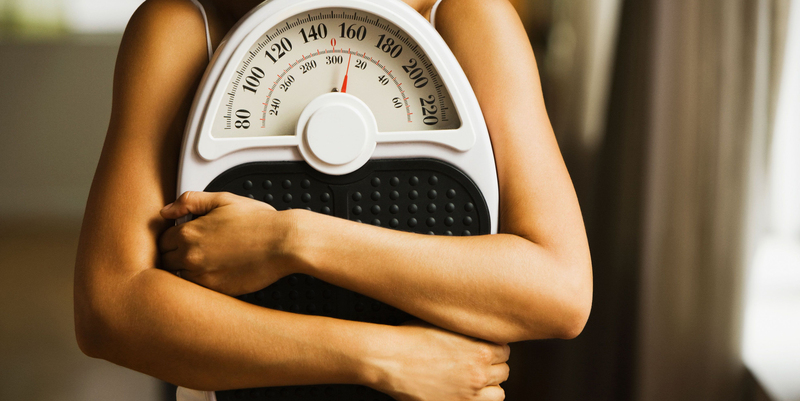 The problem for most women is that, especially once we start getting older and begin feeling our metabolism shift, we are told we must cut calories and do more more more cardio. These are the mistakes that KEEP you from burning fat, getting shredded and feeling Beyonce-status-confident. I see these mistakes day after day – and want to make sure you ditch ‘em. Don’t forget, love… the best conversations happen in the comments. Hi this is Kim Constable and welcome to another episode of Strong and Sculpted and today I’m going to be talking with Mr Mark Getty, Hello Mark. Kim: About the reasons people fail at fat loss. So Mark, as you know I’ve just launched my new 4 Week Shred programme. Kim: And a lot of the girls are asking in the private Facebook Group about, can they have this or can they do that or how much cardio is too much, or how much cardio is too little or should they be …you know what should their heart rate be when doing cardio and even though I provided them with all this information, sometimes it’s good to have a little back up or clarification. So tell me first of all, what your thoughts are on, what is, what are the …If you can maybe give me the top 2 or 3 reasons as to why people fail at fat loss. Mark: Well firstly you’ve actually hit the nail on the head right away, was the main reason people fail at fat loss, not being able to follow a programme properly and that is the truth, I know it sounds a bit hypocritical but it’s true. If somebody has given you the details as to where and what to do on a fat loss programme and you start adding bits and pieces in, you can’t physically track and monitor what you’re doing right because you don’t know what is best. Kim: You say this to me all the time when we’re training, yes we don’t know what your athletes are doing, you not able to guide them. Mark: You know I’ve always said to my athletes, pick one person to go with, whether that’s me or somebody else but it will be me right, stick to what they say religiously, you know, if you do something off that programme, tell me. These things are all massive tools to help somebody, it’s like taking your programme Kim and adding a wee bit of somebody else’s and a wee bit of somebody else’s and a wee bit of somebody else’s, you’ve now got a mutant programme with no responsibility, no any feedback loops or anything as to what went wrong, do you know what I mean? Your programme is structured in the way that you know what people are doing, if people follow it, there’s a structure and there’s a plan. If things don’t work, you can change it knowing the structure and the plan and this all falls back to accountability. So my opinion, without going too much into detail, the biggest mistake people make on fat loss programmes is not following the programme properly. This causes wee deviations to big deviations, it’s a massive, massive mistake that I see all of the time in this industry. Kim: Well I’m going to ask you a very, probably un-PC question but it’s something that we were discussing before we went live in this video was, in your opinion, are men or women better doing what they’re told or is there actually no difference? Kim: Because it’s my personal belief and I am a woman so I think that I can say this. I certainly know that over the years it’s taken me a long time to build consistency, persistency to actually do what I’m told, to not be defiant but that actually is something I’ve had to learn, it’s a discipline I’ve had to learn whereas someone like my husband, for example, you give him the set of rules and he just follows the rules. So does it depend on the person, the gender, what is it? Mark: So that I come out PC here, I’m going to give the first bit the woman and I’m going to say that whenever you’ve got the right woman, if you tell them to run through a wall, they will run through a wall. So if you’ve got the right athletes in your camp, the right female athletes in your camp, they will do whatever it takes. Kim: And that’s not gender specific? Mark: That’s not gender specific right. Mark: But in terms of following a programme to the ‘T’, men are generally better, do you know what I mean, basically because they just get on with it. If you tell people that this is the programme, this is the training, this is what it is, 7/10 fellas will just get on with it where a woman might have a few questions thrown into it. Kim: Yeah, do you not think though that men are …This is a little bit off topic but I have found that little boys are generally taught more about accountability than little girls, all girls they cry and they let off the hook a little bit more, little boys are told man up, big boys don’t cry. Mark: Exactly and I think in this game, I’m not trying to turn this one bit but I think this is known more as man’s world in terms of the gym and things. Mark: And women are only kind of branching into it now and I think where fellas are concerned, there’s that sort of fear of going backwards and a fear that if someone tells them to eat, you know, rice about 200kg they’ll do it because of that fear of going backwards, that fear of failure where a lot of women where they’re kind of scooting around the edges a lot of time, they can get away with more, do you know what I mean and therefore need that wee bit more assurance as to what and where and why things are happening where men just go well I want to get like Mark, so what do I have to do to get like Mark and I can go A, B, C and D and A, B, C and D will be done. Kim: Right and so then tell me then if someone say who is on my 4 Week Shred programme which I know you know a lot about because I’ve discussed it with you. Kim: What would be one of the main reasons why they would fail, they wouldn’t achieve the results that they’re expecting and that I’m promising? Kim: Why is that a big no, no? Mark: Well you’re going to end up …What you’ll end up doing is you’ll have no energy during the week. So I’m asking you to train a specific way, Kim you know how hard my workouts are. Mark: I’m asking you to train like that and you’re eating no carbs, you’re eating to food, there’s no fuel to fuel these workouts, as a result, as the week goes on, the weights are going down, the weights are going down, this then turns to stalling the metabolism, you know what I mean, losing muscle, stalling the metabolism, which actually then will end up people going backwards and staying the same or actually gaining body fat. Kim: Right and tell me about the cardio. So we only recommend slow steady state cardio and I feel that’s a cardio that you’d recommend. First of all why slow steady state, just, I want your opinion on it and also you know, how would they know they’re right at the top of the fat burning zone when they’re doing their slow steady? Mark: Well firstly, I like people training hard, so I think if you’re doing any form of cardio like that, it goes against hard training, if you’re trying to do 4 or 5 cardio sessions that are of high intensity and then you’re trying to do one of my leg workouts or one of my back workouts, they don’t work, they don’t gel. Kim: And I always say if you’re getting enough information in the gym. Mark: Absolutely, the weight training alone is to build the muscle, the cardio is there to burn the fat and that’s then to stimulate the metabolism and burn the fat, weight builds the muscle, cardio burns and stimulates the fat. So for me steady state cardio is simple, it’s not going to tax the muscles, it’s going to be more protein and more muscle burn and it will also burn off more fat over a wider training time but just fat, where higher intense forms of cardio might burn more calories, steady state cardio burns more fat because we tap into the fat burners only. Like you mentioned a couple of minutes ago, the way I work it out is I try to take the people that I have up to the top of the fat burning zone which usually and the people that I work with is between 120 and 145 beats per minute. If you don’t have a treadmill, the best way to work this out is if you’re doing a fast walk, to know that your sweat should be starting to glisten, a wee bit of a glisten sweat and you should also be able to hold a conversation but you should be heavy breathing through it. Kim: Okay so kind of stop starting a conversation. Mark: Stop starting a conversation do you know what I mean and this will enable you to be in the fat burning zone. Another tip that I have for people as well is like we were talking about earlier, rather than starting to walk easily, get out of your front door if you’re doing this outside and run. Kim: Yeah that’s a really good tip actually because a cold morning just get out there and start to run. Mark: Yeah it’s a cold morning and you’ve drink a whole pint of water, rather than walking and taking 20 minutes to get into your fat burning zone, run for the first 10 or 15 minutes or 5 minutes, whatever it takes until you become out of breath and then start walking. This will get you up to your fat burning zone a lot quicker and easier to maintain then through the cardio. Kim: Right but I just really have to reiterate, this is on a cold morning, if you’re out walking and you’re not on a stair master, whatever because if I now tell them they have to start running, they’ll tell me you told us not to run and now you’re telling us to run. Mark: No, just for the first few minutes, just to get your heart rate elevated. Kim: Just for the first few minutes to get you warm, to get you boosted. Mark: To get you warm, to get your heart rate elevated and to get you ready and then you can drop it back to a nice brisk walk or a fast paced walk to keep your heart rate where it’s at. So don’t be going running on a stair master, it might not end too well. Kim: I didn’t think so. Kim: Well guys I hope you enjoyed this chat with Mark, this guy has prepped more competitive athletes in one year than you have had a hot dinner, so he knows what he’s talking about when it comes to fat burning and muscle building but now I want to hear from you guys. What did you think about what Mark said? Are you happy you don’t have to run and do hit or do you love your hit and you get bored with steady cardio? 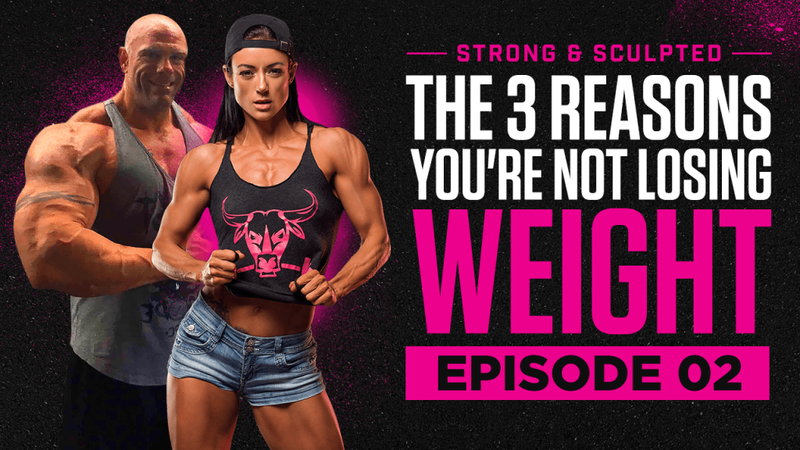 Were you surprised with what Mark said about the tips about losing body fat? Whatever it is, whatever comments you have, leave them below this video because we really want to hear from you in the comments so that we can have a conversation there. This was great Kim!! I love the tip to run for a few minutes to get your heart rate up first. Also when you said not sticking to ONE plan. I have about 4 I’ve been trying to use for variety but I’m just not seeing results! Question, in approaching 50, do hormones actress affect weight loss? I’m starting to go through menopause and I’ve never had a problem but not I have this little fat poochy belly that’s really depressing me. Love all your info!! Thank you very much ! You are correct and I do that as far as mutant programs. I know I work best when I follow things to the letter. Yes woman talk too much hahah. I have been “fighting” my weight since I was 10 and I am 54. I have taught group exercise and been a cardio junkie. I do endurance events, did a full Ironman last year. I had a back accident and broke my neck. I have been afraid to lift weights. But I am excited to change my body and I am really enjoying lifting weights. It has been a challenge for me to re think the 3 hour bike rides. I do get bored and that is why HIT is more attractive to me. Thank you both ! Thank you, loving the educational videos. I teach spin classes where are more of higher intense interval training and less steady state . I also do weight training and teach power classes . So given the fact that I have no choice and have to do Hiit cardio how can I adjust my diet or weight training to accommodate that type of cardio do I don’t lose muscle and continue to burn fat? So am I correct that you’re saying stay in your fat burning zone and therefore avoid HIIT training altogether? It all makes sense. I especially appreciate Mark’s input about eating the right amount of protein. I am so grateful for the menu suggestions included in this challenge because I purchased the grocery items provided but am not as creative when it comes to preparing vegan meals. This is very informative about steady state cardio for fat burn as I was led to believe the HIIT was the method to use for fat burn. Thanks! I am doing the 4 wk shred and LISS cardio is killing me with boredom! I am a HIIT type of gal usually. Also, after listening to Mark, I am worried about not hitting my macros, but I am just not hungry at night, and can’t imagine forcing down anything else. I am a 57 years old female & I do not have any weight issues. I work out 3 to 4 times a week & im getting stronger & better every day! Great video. I’m walking outside so I found it particularly useful. My aim is to walk up a nearby hill (with dog 😀) which gets my heart rate up then have a walk and then back down the hill. Yesterday I walked to work 45 minutes, 20 of which is up a hill then the rest undulating. It was rainy/snowy but I was very warm. Does that sound about right? Also I’ve done slightly longer walks if they’re not massively challenging eg 40/50 minutes of fast dog walking rather than 30 recommended on the 4wshred. Like the idea of running for first 10/15 then walking as the dog and I run together sometimes. Thanks so much. The comment that women tend not to follow programs to the “T” is particularly accurate in my case. I’m grateful that you had the courage to mention this because if I’m truly honest, it’s one of the main reasons I don’t have the body I want. In fairness, most of the programs I’ve tried are not as thorough, detailed or well supported as yours Kim and were developed by men who think women operate the same way they do– and so this impulse to modify has become second nature. I have been thinking about running and I liked what Mark said about just getting out your door and run for a while to get your heart rate up. I know that in the past if I began a running program with conscious food choices I would lose weight. I have been learning a lot from you Kim. You have made me aware of the fact that I am not eating enough protein and I have started to pay more attention to eating more. My daughter (Suzanne Monroe) did your 4 week shred while living with me (she just relocated to Colorado) and I got fairly familiar with the program. She looks great and is very committed. I am 68 years old and 50 lbs overweight. When is your next 4 week shred scheduled as I know you just began a new program? Thank you for being so generous with your time, knowledge, and talent. I admire you for sure!